If you have a breaker on the panel that won't reset, don't assume you have to repair it. In all likelihood, the breaker is simply doing its job and tripping to protect the circuit. The problem could be a bad connection to an outlet, an appliance or light fixture with internal damage or something you can't easily find, such as rodent damage or an open ground. The breaker could indeed be faulty, but if so, you still can't repair it. Breakers aren't designed to be fixed, so you'd have to replace it. There's a right way and a wrong way to reset a breaker. The wrong way is to simply flip it to the on position. If you do that, it won't reset. The right way is to turn the breaker all the way off – until you hear it click – then flip it on until you hear it click again. That may be all you need to do. If it trips again, though, the next thing to do is to look for problems in the circuit. If your panel is properly indexed, you'll be able to determine which circuit the breaker controls by looking at the list on the panel door. Unplug all appliances that are plugged into outlets on that circuit and turn off all the lights, then try the breaker again. If it stays on, plug the appliances back in one by one until it trips again, and service or discard the appliance that makes it trip. Check each appliance for overheating when you unplug it. If one feels unusually hot, it's probably the culprit. After completing this test, it's time for the lights. Turn on the lights one by one. If the breaker trips when you turn on a particular switch, the problem could be the switch, the light fixture or the wiring between them. You still have some diagnostic work to do, but at least you've isolated the problem somewhat. You've unplugged all the appliances and turned off all the lights, and the breaker still trips. At this point, you have a choice. You can examine each switch and outlet for bad connections – which you can often identify by scorched terminals – or you can suspect the breaker and replace it. If the old breaker was faulty, problem solved. If not, you've eliminated it as a possible cause and can now focus on finding the bad connection. 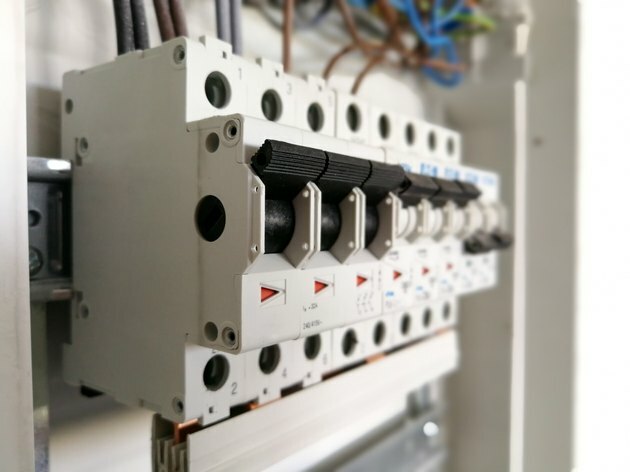 The procedure for replacing a breaker is simple, but working in the panel is dangerous because the hot bus bars are always energized, so it's best to get an electrician to do it. To replace a breaker, make sure the main breaker is turned off, then grasp the faulty breaker with pliers and pull it off the bus bar. Once it's off, you can safely disconnect the black wire attached to it. Connect the wire to a new breaker and snap it into the slot from which you removed the old one. Now for the big test: Turn on the breaker. If it stays on, mission accomplished. If it trips again, you have more diagnostic work to do. If the new breaker continues to trip, an electrician can diagnose the problem more efficiently than you can, even if you have some electrical know-how. The electrician has the experience to distinguish a bad connection from a good one and the tools to conduct continuity tests to find open connections behind the walls that may be the result of rodent damage. Depending on the age of your electrical system, the electrician may find issues, such as degraded aluminum/copper connections or an open ground, that require professional expertise to repair.